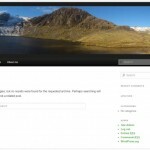 This is a brand new service for anyone wishing to publish a Blog-type website on Walking Places. Due to bandwidth restrictions at the back-end (i.e. there’s only one Lone Walker), we’ve been restricted to offering fairly static websites to Walkers. Websites that get updated every few months when you’ve finished another long path perhaps. This Blog service allows you to create your very own website, which can be updated as often as you like, with whatever content you like – and better still it’s all accessed through a simple to use interface. 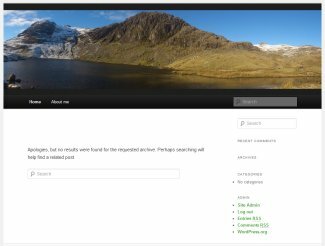 If you’re interested in signing up for one of these new websites, then drop me a line using this email address: editor@walkingplaces.co.uk and include “Blog Site Request” in the subject line. They’re completely free and you will get assistance to set up the site and support to maintain into the future. 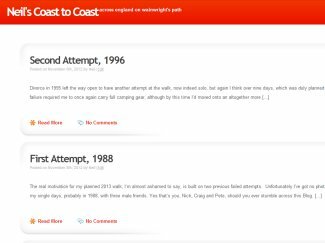 A slightly different use of the Walking Places Blog pages this time, from Paul, who plans to record his progress through the Wainwright’s – the ascent of all 214 fells recorded by AW in his Lakeland Pictorial Guides. We wish Paul well in his endeavour and look forward to reading about it in his blogs. You can follow Paul’s progress using the link below. Another Coast to Coast Blog in the offing for followers of Wainwright’s iconic path. Neil plans to walk in early 2013 and this blog will include his plans and preparations as well as reports during the walk itself. 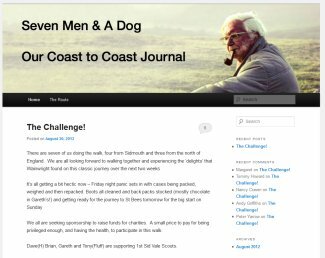 Another Live Coast to Coast blog kicks off on Walking Places this week, with Seven Men and a Dog crossing England on the Coast to Coast path. Keep track of their progress using the Subscribe buttons in the menu on the right hand side. 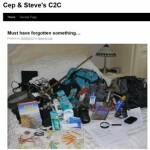 Another Live Coast to Coast blog kicks off on Walking Places this week, with Cep and Steve crossing Wainwright’s famous path. 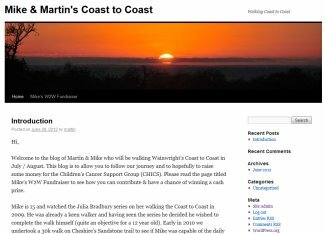 Another Live Coast to Coast blog kicks off on Walking Places in early July, with Father and Son crossing Wainwright’s famous path. These guys have an arduous journey in from Honk Kong to contend with before they start walking, so we wish them luck and fair weather as they cross. 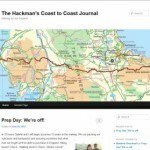 We’re pleased to announce another Live walking blog across Wainwright’s C2C path. 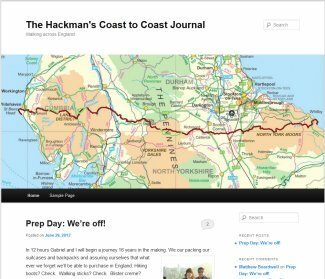 Mike and Martin will be walking July/August and you can follow them all the way with this blog journal. Use the bottom right hand menu to subscribe to updates or just check back every day to read their updates. 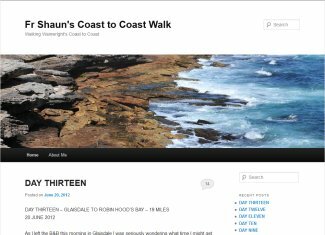 A superb blog, published while Shaun was walking the C2C, using his iPad and the wireless connections he was able to acquire along the path. 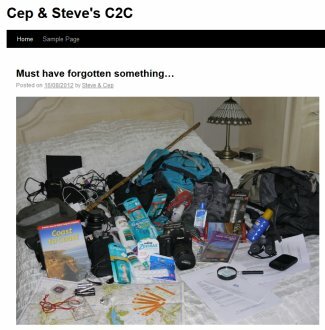 The first blog to be published on the Walking Places Blog Service and certainly a fine example of what can be done with modern technology. © 2019 Walking Places Blogs.